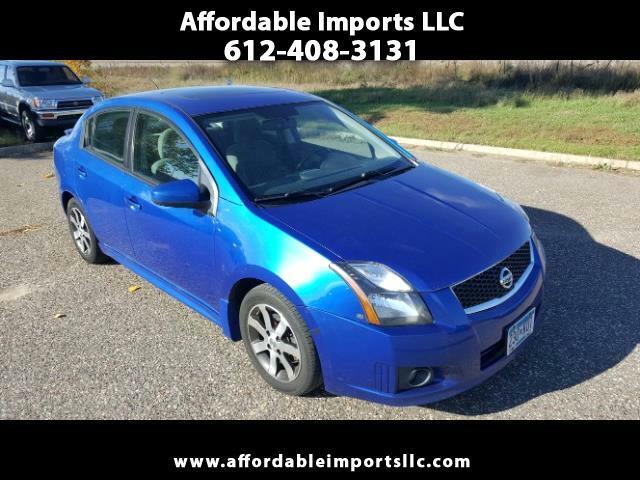 2011 Nissan Sentra SL, the Nissan Sentra is a compact sedan powered by a 2.0-liter 4-cylinder engine, automatic transmission. Fuel mileage falls within an EPA estimated range of 30 mpg city to 39 mpg highway. Features include 60/40 fold-flat rear seats. Excellent fuel economy; handsome new styling; roomy interior; premium tech options. Accident History. Prior Salvage Title. We've got financing available, super convenient with immediate delivery for those who qualify..FOR ADDITIONAL INFORMATION OR TO MAKE APPOINTMENT CALL 612 408-3131. 7751 Hwy 10 w #8 Ramsey MN 55303.